Hotel in Lviv. News and promotions. 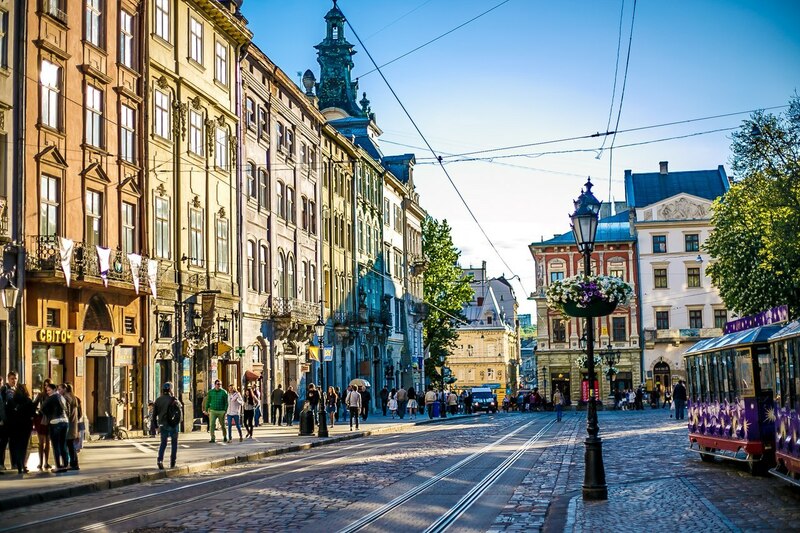 Where to celebrate a birthday in Lviv – 2019? Where to celebrate a birthday in Lviv – 2019? Celebrating the birthday in the city of Lviv: find out where to go, where to go and where to have a tasty dinner for your birthday. When looking for scenario options for a birthday, all without exception, expect from a certain date something amazing, even if not everyone is recognized in it. Always you want to spend an important day so, that remember for a lifetime. In this material we will understand where to celebrate the birthday in Lviv. Lviv is probably the most romantic city in Ukraine. It seems that in this corner of gray fogs and bright festivals (and they pass with constant periodicity), each house, each street has a supernatural charm, an incomprehensible past history. Name day in Lviv will turn into a fabulous adventure, if you do not dare to come to him! Where to stay in the city Lviv? Locals are zealously hospitable. You will love to offer tenancy to rent an apartment – you should choose the most acceptable among these proposals. However, tourists prefer to have absolute freedom, to make secret desires. Most of the statement concerns tourists-birthdays. We recommend to stay at the hotel – no restrictions are provided. Also, there will not be any additional questions. 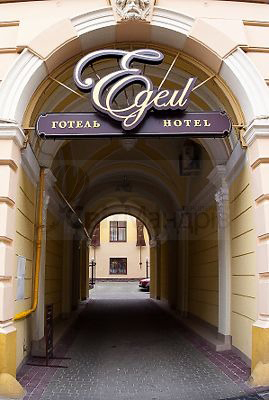 Birthday in Lviv will be unforgettable in case of your stay in the hotel Edem. 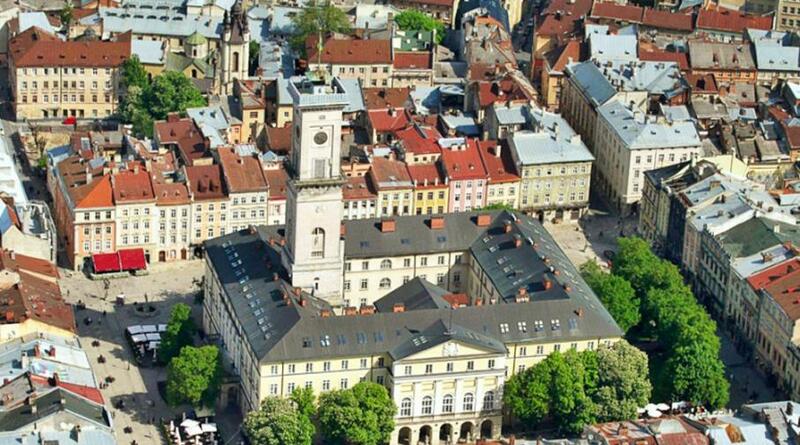 Many people prefer Edem due to its convenient location in the heart of the city Lviv. From here it is very convenient to go on a journey to local memorable places – the main ones are located nearby. In the hotel there is an excellent service, friendly staff. You will always be offered a room that is particularly comfortable. The hotel owners are focusing on the needs of the guest as a priority. The users are offered flexible pricing policy, acceptable for ordinary travelers. The one who once stayed in a similar paradise, without a doubt, comes back here to feel the filling of the positive, which elsewhere is not to be sought! Where to celebrate birthday in Lviv? So, you have already stayed in the hotel Edem, enjoyed the shower after the road, preparing for the holiday. We will gladly tell you which can be an interesting birthday in Lviv. Let’s go through the main attraction, to make visiting this corner of Ukraine unforgettable. According to our conviction, you arrived in mysteriously, nobody knows the city to the end not only for the feast, but also for the bright impression. Although, the table is guaranteed for you to be covered – the hotel staff will be happy to prepare a romantic dinner for you. But all in a good time. So, let’s start the walk. Note: the city is too mysterious, opens slowly, gradually. Your walk will be filled with completely different impressions: from sincere admiration – to the understanding of human insignificance before age structures. This emotional amplitude attracts people who are familiar with Lviv, come here again. 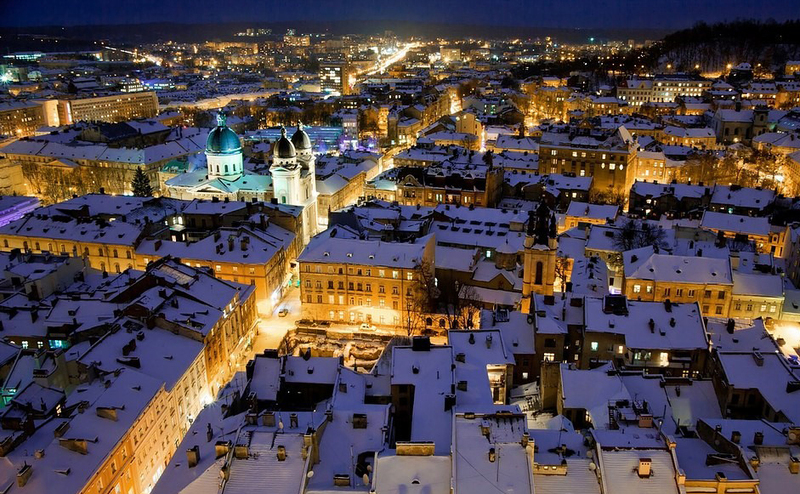 Lviv does not let go – he falls in love forever. If your heart is open to such love, let’s start a virtual (yet) walk. In order to get aquainted with city we advise you from the Square Market – the main square of the old town, located near the hotel. Here is an incredible architecture, almost constant grove of locals and visitors. Live sculptures for photo sessions, friendly smiles of the environment, incredible grandeur of the old buildings fascinate! If you are lucky enough to join the group of tourists, you will surely hear: earlier the representatives of the nobility had the right to settle in the Market Square, and for centuries it was the center of life of the citizens. In principle, the Maidan has not lost this sign to this day. 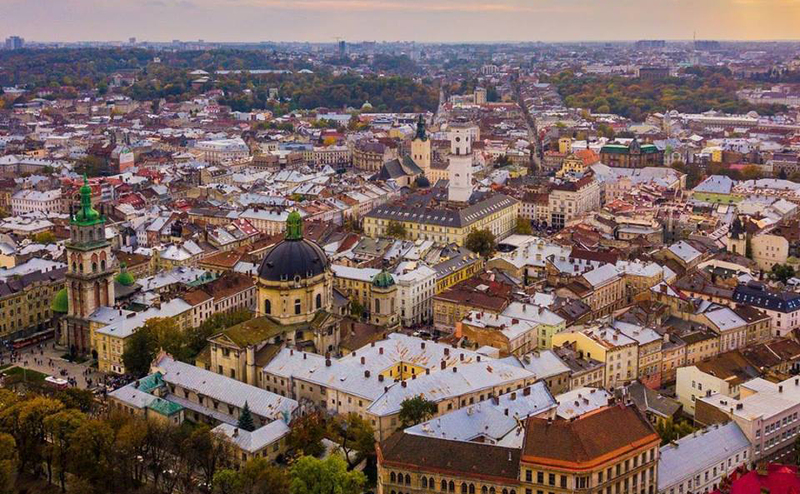 If you are looking for a place where you can celebrate your birthday in Lviv, we advise you to climb to the City Hall, to admire the landscapes that are located far below. The whole city is like a palm! We guarantee: you will never forget an elation here. The structure has a tremendous height of 65 meters. People usually feel emotions here, like emotions after the conquest of a mountain peak.The City Hall in Lviv is the highest in Ukraine. The brave ones, having risen to it, are able to get a crazy return of adrenaline and aesthetic pleasure. Want to make sure the above – feel free to climb up! 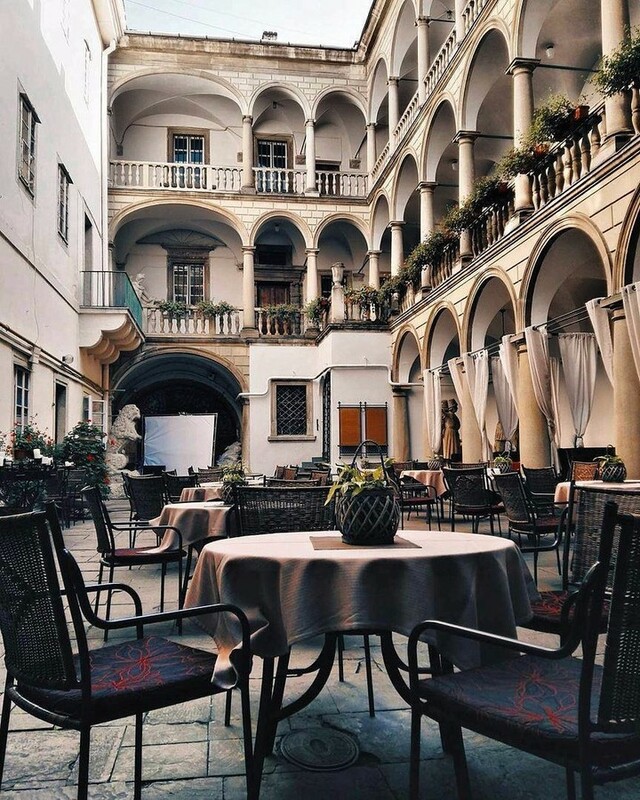 If it is difficult to decide how to celebrate the birthday in Lviv, with pleasure we can offer to go to the Italian courtyard, situated in the center. The courtyard was created in the 16th century. Under the project, its creators sought to recreate the Italian terrace. It is originally designed as a recreation area. Has not lost the purpose of relevance up to now. Enjoy delicious, fragrant coffee and make some memorable shots. This place is beloved for lovers of newlyweds. Everyone aspires to have a light on the background of this unique sight. A very aesthetic, spiritual holiday. Visitors in many cases make the first snapshot during their trip to Lviv on the background of the theater. The building has a unique exterior, but no less pleasant interior. If your luck, you can come to the show – they are held here regularly. 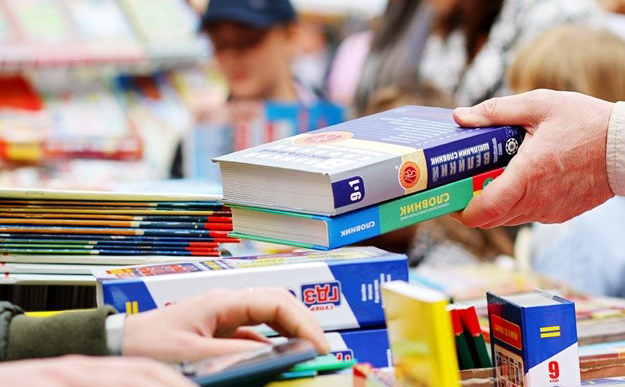 Let the action start this wonderful gift that will bring it to you on the birthday of Lviv. The stucco, which proudly decorates the foyer, the vestibule, the auditorium for spectators, impresses with its wealth. In addition to stucco, there is painting in the decoration of the room. 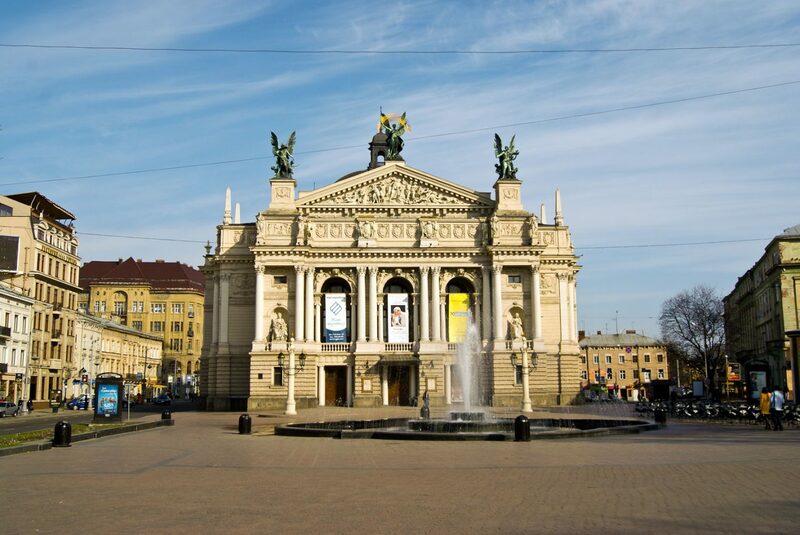 From Edem Hotel to the Lviv Theater you can get on feet, and admire the numerous architectural wonders. Do not delay, hurry to please yourself! 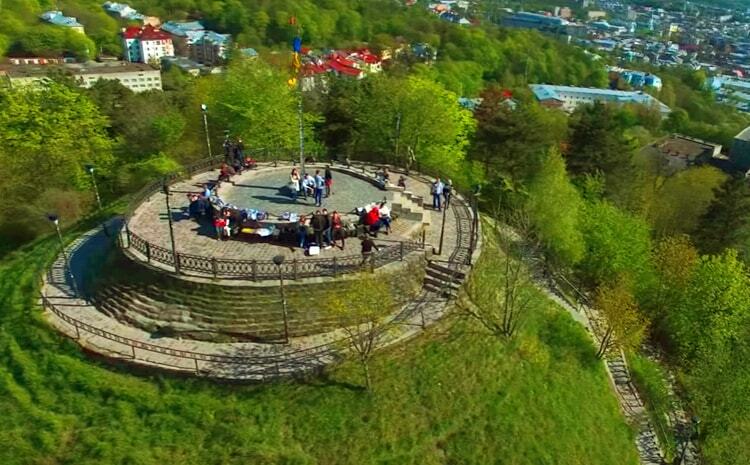 The top answer to the question “where to celebrate a birthday in Lviv?” was to go up the mountain “High Castle”. The height – its main feature: “High Castle” reaches 413 meters! The castle was located on the top – so there was such a name. Panoramas, visible from the Castle Mountain, have no analogues all over the world. Unfortunately, the building itself does not exist anymore. In spite of this circumstance, there is an observation deck located at the highest point. Name day is required to be a bit hopeless. We know how to make that drinking alcoholic beverages in the day was justified! Visit the Lviv Brewery Museum, where you will be told about the history of the most famous beer brand in Ukraine and will try to taste its products. You can slowly explore various tools that once helped to cook a drink: barrels, mugs, etc. Lviv beer began to be manufactured in 1715. Today’s tradition has only been consolidated. It is possible to taste beer in the tasting department, recently opened specifically for interesting travelers. A place where you can make a birthday party in Lviv with coloring and drive. Fun for active people with healthy adventurism. The club offers interesting extreme games that will fill the celebration with new senses. Searching for mysterious codes in real time is not suitable for everyone, but those who enjoy mobile entertainment will appreciate the services of the organizers. For players, numerous quest tours are offered, which residents of other cities can only dream of. If you are healthy, active and interesting to a new person, then Quest-club is a unique place for leisure, where a team game is presented. There is confidence: there is a necessity to purchase a symbolic thing that can remind you the visit of Lviv. To do this, go to the Vernissage market, where souvenirs are sold exclusively. 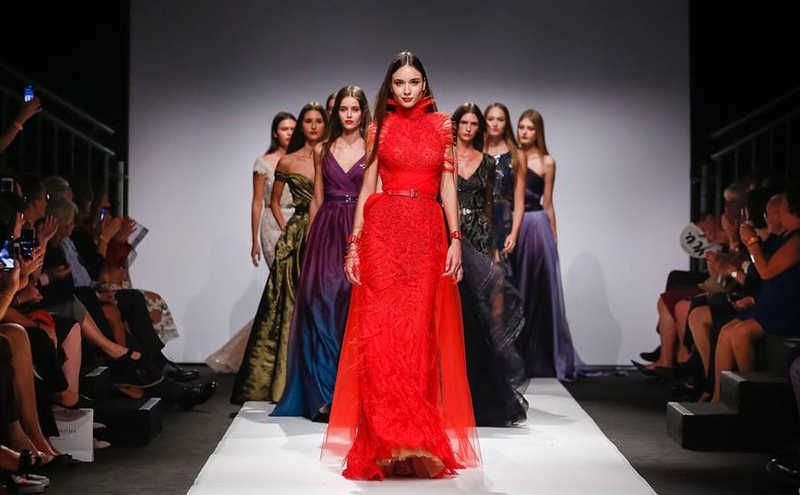 Choose everything your heart desires! 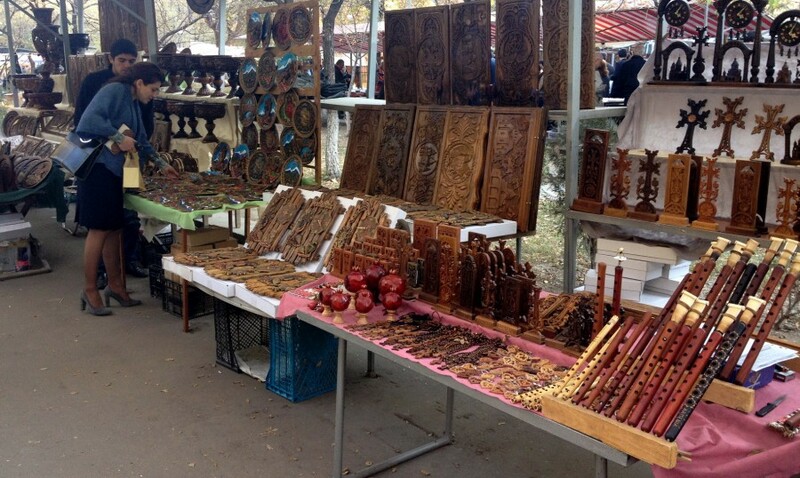 A wide range of handmade products, pleasant seelers with free-trade will create an unforgettable mood! Here is the tradition of simply creating a masterpiece behind the counter! Do not miss the opportunity to observe this process. • a lot of ​​secrets, traditions, legends – find out during the review. 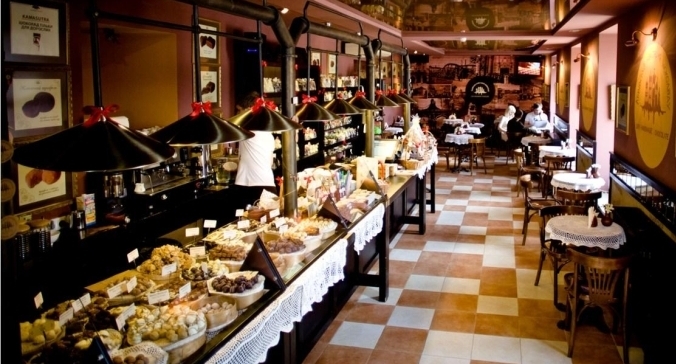 Where to dine in Lviv? 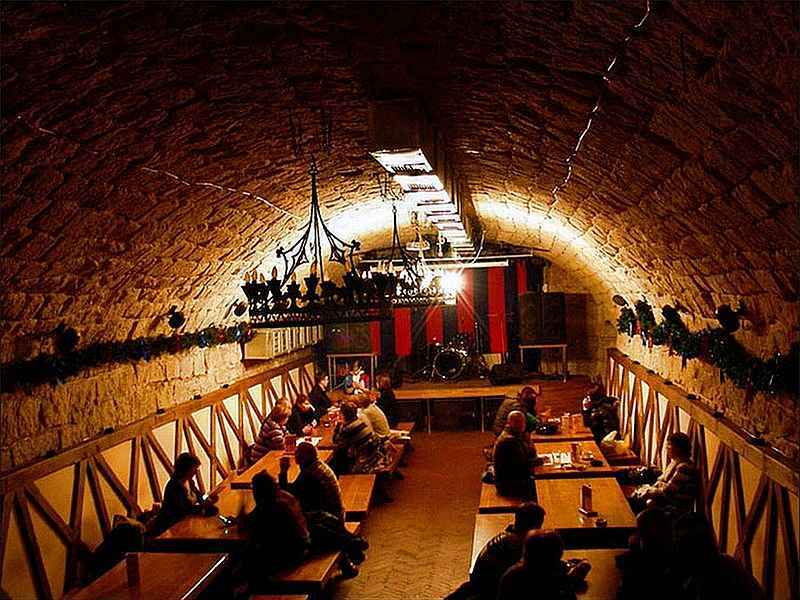 The restaurants in Lviv is ideal for Birthday party. Here you can easily choose dishes to your taste. However, in the beginning of the article, we promised a birthday person a dinner party at Edem Hotel restaurant. Therefore, we return to their apartments, take a shower and head to the smell, which already reigns in the corridors of the hotel. The restaurant is located on the first floor. On weekdays, specialists can propose you three types of menus: baby, coffee, basic. We have no doubt: the chefs have their own mysterious recipes! For the preparation of dishes, only the freshest products are used. Useful, delicious meals, based mostly on Ukrainian traditions, pleasant service – at your orders! It’s time to finish a festive day in an incredible city. We hope Hotel Edem had a positive impression on you. Masters of their work are working on continuous improvement of the service, therefore, we will be glad to see our visitors again!